Do you know how to use our billing system? A few easy steps on how to use our new up-to-date billing system! Enter the RESERVATIONS section and get into the details of the reservation you want to invoice. 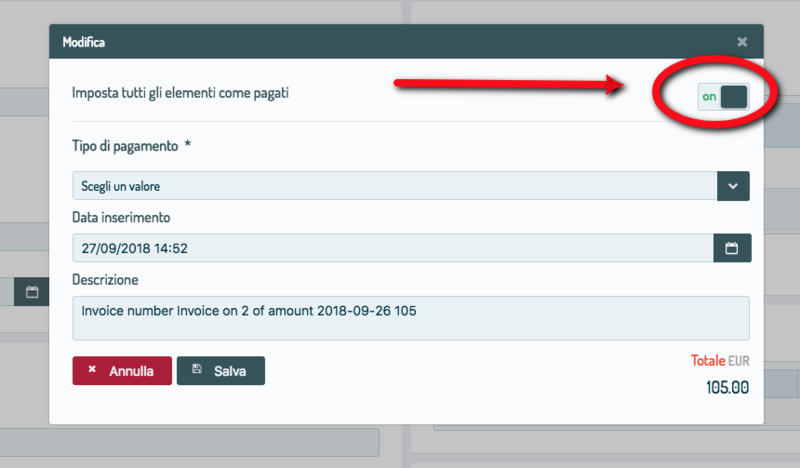 If you have already registered a payment (click here to see how to register a payment inside the reservation), the total amount on the invoice you'll create will appear as paid. In the next screen, you can choose if setting all the elements ( total amount, city tax, extra, etc.) as "paid". If you want to do so, Set all the elements as paid on ON and Save. Otherwise, leave it on OFF and only register the payments you have actually collected. By clicking on SAVE at the end of the page, you link the payment in the booking to the related invoice. Make sure you insert all the elements of the reservation ( total amount of the reservation, city tax, extra, etc.) before you send the invoice to the customer! Click on the green interrogation marks you find, and learn how to use all the functionalities of the Octorate billing system!